This race ended 03/16/18 - check out the final activity below. #243 runner. Longest run in race this month. Longest personal run. Passed 4 runners. You're in luck. 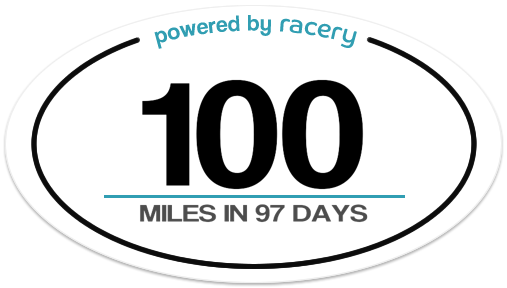 Seems racery hasn't closed down the race yet, so feel free to keep logging your virtual miles until they do. Training for a 5 miler but the weather has been, um, uncooperative. Glad to get back out there today! #247 runner. Longest run in race this week. Longest personal run. Passed 6 runners. Thanks for trying out the Acadia Centennial Trek! Enjoy the Google photos that pop up along the 100-mile virtual route as it snakes throughout the park. If after March 15, when this free race is scheduled to end, you'd still like to be part of a similar virtual race that takes you from Cadillac to Katahdin, here's a Facebook post about the successor race to help raise funds for charity: https://www.facebook.com/ac... Thanks for being part of the Acadia Centennial Trek! #209 runner. 4th Longest personal run. Hi, thanks for being part of the free Acadia Centennial Trek, which we organized in 2016 to celebrate Acadia's 100th birthday. The host of this race, Racery.com, will be ending this particular event on March 15, but you are welcome to join another race we're currently running, the Cadillac to Katahdin Run, which ends on June 30. Hope you've enjoyed participating - it's even more fun when there are more active racers in the community, as in the Cadillac to Katahdin Run. You can backdate miles to as far back as Aug. 15 of last year, and continue logging miles on the 200-mile virtual route through June 30. The $30 fee for joining the Cadillac to Katahdin Virtual Run includes digital racer's bib, digital finisher's certificate, a special medal in the shape of Maine with a raised lobster claw and pine tree, and a buffalo-plaid ribbon. At least 5 percent of the registration fee goes to support Friends of Acadia, Our Katahdin and Millinocket Memorial Library. To read more about the Cadillac to Katahdin Virtual Run, see our latest blog post: https://acadiaonmymind.com/... Thanks again for participating in the Acadia Centennial Trek. #119 runner. Longest run in race this week. #6 runner. Longest personal run of this race this month. Longest run in race this week. Longest personal streak grows to 372 days at 6.42 miles/day. Hello Helen! Thanks for being part of the free Acadia Centennial Trek, which we organized in 2016 to celebrate Acadia's 100th birthday. And nice to see you rejoin this year, as you're getting ready for another season of running. The host of this race, Racery.com, will be ending this particular event on March 15, but you are welcome to join another race we're currently running, the Cadillac to Katahdin Run, which ends on June 30. @Christa is currently active in that race. Hope you've enjoyed participating - it's even more fun when there are more active racers in the community, as in the Cadillac to Katahdin Run. You can backdate miles to as far back as Aug. 15 of last year, and continue logging miles on the 200-mile virtual route through June 30. The $30 fee for joining the Cadillac to Katahdin Virtual Run includes digital racer's bib, digital finisher's certificate, a special medal in the shape of Maine with a raised lobster claw and pine tree, and a buffalo-plaid ribbon. At least 5 percent of the registration fee goes to support Friends of Acadia, Our Katahdin and Millinocket Memorial Library. To read more about the Cadillac to Katahdin Virtual Run, see our latest blog post: https://acadiaonmymind.com/... Thanks again for participating in the Acadia Centennial Trek. #209 runner. Longest run in race this week. 5th Longest personal run. #209 runner. Back after 6 days. Longest personal run. Passed 2 runners. #132 runner. 6th Longest personal run of this race. Longest run in race this week. Back after 228 days. #147 runner. Longest personal run of this race this month. Longest run in race this week. Back after 5 days. #211 runner. 2nd Longest personal streak grows to 4 days at 2.50 miles/day. Passed 1 runner. #147 runner. 4th Longest personal run of this race this month. #212 runner. 2nd Longest personal run. Passed 4 runners. #147 runner. 2nd Longest personal run of this race this month. #216 runner. Passed 2 runners. Ran 26.2 miles (+0.2 miles) in 24 days a PR. #218 runner. 2nd Longest personal run of this race this month. Back after 6 days. Passed 1 runner. #119 runner. Extends streak to 5 days. #119 runner. Extends streak to 4 days. #219 runner. Passed 1 runner. #119 runner. 3rd Longest personal run of this race this month. #220 runner. Passed 3 runners. #119 runner. 2nd Longest personal run of this race this month. #119 runner. Longest run in race this month. Back after 116 days. Longest personal run. Ran 26.2 miles (+0.8 miles) in 1 day a PR. #223 runner. Longest run in race this week. Passed 1 runner. #224 runner. Longest run in race this week. Passed 5 runners. #229 runner. Longest personal streak grows to 5 days at 2.04 miles/day. Passed 1 runner. #147 runner. 3rd Longest personal streak grows to 5 days at 1.76 miles/day. #230 runner. Longest personal streak grows to 4 days at 2.13 miles/day. #147 runner. 3rd Longest personal run of this race this month. 8th Longest personal streak grows to 4 days at 1.85 miles/day. #230 runner. Passed 1 runner. #231 runner. Longest personal run. Passed 11 runners. #147 runner. Longest run in race this week. #242 runner. 2nd Longest personal run. Passed 1 runner. #243 runner. Longest run in race this week. Longest personal run. Passed 7 runners. #250 runner. Longest personal run. Passed 2 runners. #147 runner. Ran 100.0 miles (+0.9 miles) in 97 days a PR. #147 runner. 2nd Longest personal run of this race this month. Longest run in race this week. #147 runner. 4th Longest personal streak grows to 5 days at 1.72 miles/day. #147 runner. Longest run in race this week. 7th Longest personal streak grows to 4 days at 1.82 miles/day. #96 runner. Longest run in race this week. Longest personal streak grows to 7 days at 2.62 miles/day. #96 runner. Longest run in race this week. 4th Longest personal streak grows to 5 days at 2.78 miles/day. #147 runner. 3rd Longest personal run of this race this month. Longest run in race this week. #147 runner. Longest run in race this month. 7th Longest personal run. #147 runner. 5th Longest personal streak grows to 5 days at 1.66 miles/day. #147 runner. 8th Longest personal streak grows to 4 days at 1.75 miles/day. This race ended 03/16/18 - check out the final activity here. Hey everyone, seems racery hasn't closed down the race yet, so feel free to keep logging your virtual miles until they do. If after March 15, when this free race is scheduled to end, you'd still like to be part of a similar virtual race that takes you from Cadillac to Katahdin, here's a Facebook post about the successor race to help raise funds for charity: https://www.facebook.com/ac... Thanks for being part of the Acadia Centennial Trek everyone! Why can't I log miles to My Trek. The site is directing me back to Acadia Centenial Trek which I finished long ago. I've logged over a thousand miles on My Trek and would like to continue there. Help? Hi @SMH - just saw this message, after I posted my message to you above. When you're in the map for Acadia Centennial Trek, go to the upper right hand corner where your race avatar is, and select the dropdown menu. You should see under there My Trek. If it's not there, or you keep defaulting back to this race, you may need to take it up with team@racery.com. Acadia Centennial Trek is ending March 15, as I mention in the above note to you. Not sure if there's ever an end date for My Trek. But you're welcome to join us at the Cadillac to Katahdin Virtual Run. I'll check back to see if racery responds to you here. If not, I'll e-mail them and have them get in contact with you. Pardon the typo in "route", above. Race goes live Aug. 15, and you have 117 days to complete the 200 miles, by Dec. 9, the day of the running of the real-life Millinocket Marathon and Half. If you register late, no problem - you can backdate miles to Aug. 15. Participants in any of the real-life MDI and Millinocket events get special pricing. At least 5% of registration fees go to support the nonprofit Friends of Acadia, Our Katahdin and the Millinocket Memorial Library. Meant to include @KDDID in this group message too. And included you too, @Cpc , in the Facebook post. @grin and @Grinny - this blog post sums up how much was contributed to benefit Acadia, as result of your and others' participation in the Trek and other fundraising projects: http://acadiaonmymind.com/2... Thanks for being part of the effort! Yes, it was Monument Cove!!! You're good! OK faithful Trekkers - @KDDID @jc-unabridged @Wheezer @Grin @BioSue @TrailWitch and @RangerMo - looks like this race might still be active in 2017. If you've already completed this race, you won't see your map icon moving anymore, but any mileage you enter here will automatically show up in your "My Trek". And you can cheer each other on - great way to stay motivated for 2017? - by logging in to give words of encouragement to others who may not have finished yet, or who are trying to stick to a 2017 New Year's fitness resolution. Let's see how long we can keep this going! I signed up for Crow Athletic's Streak-100 (where you have to run or walk at least 1 mile a day beginning Jan. 1, through April 10). So logging the miles here will hopefully help motivate me to keep the streak going! And even if my map icon doesn't move on this map, it will be moving on the "My Trek" map that goes from Disney in Florida to Alaska - you can find "My Trek" in the drop-down menu in the upper right-hand corner of this page, under your own map icon. @jc-unabridged - it sure has been fun, and thanks for being part of it! Thanks for everything - this was so much fun! Happy New Year, and wishing everyone splendid adventures in 2017! @KDDID - Hoping to come up with something just as fun for fitness motivation for 2017! Thanks for being part of 2016's fitness fun! Yay!! Thanks!! Happy New Year!! Congratulations @RosieRanger @JasonAG and @Katahdia on the finish! You deserve a medal! Here's where you can buy the optional finisher's medal, if you haven't already ordered one: http://acadiaonmymind.com/a... Today is the last day of the Acadia Centennial Trek Challenge that we announced earlier this year, at least 10% of gross proceeds from sale of medal will go to help support Acadia, double the usual percentage. Medal assembled and largely made in the USA by the same company that makes Boston Marathon medals. And if you're up for Part II of the Trek, here's the direct link: http://racery.com/r/acadia-... and go to dropdown menu under "Runners," scroll down to the bottom and enter the same e-mail you used for the first race. The system will remember your profile. But Part 2 is ending at 11:59:59 p.m. Dec. 31, so time is running out. Thanks for participating! This was a great idea! I have my medal and love it! Thanks for setting this up for ANP and those who love the park! @Katahdia - Congratulations for crossing the finish line. I knew you could do it! Thank-you! Nice of you to keep cheering me on! @Katahdia - You can make it! Just 4 miles to go! Congratulations! Congratulations @dw876 on the finish! You deserve a medal! Here's where you can buy the optional finisher's medal, if you haven't already ordered one: http://acadiaonmymind.com/a... Between now and the end of the year, under the Acadia Centennial Trek Challenge that we announced earlier this month, at least 10% of gross proceeds from sale of medal will go to help support Acadia, double the usual percentage. Medal assembled and largely made in the USA by the same company that makes Boston Marathon medals. And if you're up for Part II of the Trek, here's the direct link: http://racery.com/r/acadia-... and go to dropdown menu under "Runners," scroll down to the bottom and enter the same e-mail you used for the first race. The system will remember your profile. Part 2 also ends Dec. 31. Thanks again for participating! Congratulations @MooseMom on the finish! You deserve a medal! Here's where you can buy the optional finisher's medal, if you haven't already ordered one: http://acadiaonmymind.com/a... Between now and the end of the year, under the Acadia Centennial Trek Challenge that we announced earlier this month, at least 10% of gross proceeds from sale of medal will go to help support Acadia, double the usual percentage. Medal assembled and largely made in the USA by the same company that makes Boston Marathon medals. And if you're up for Part II of the Trek, here's the direct link: http://racery.com/r/acadia-... to dropdown menu under "Runners," scroll down to the bottom and enter the same e-mail you used for the first race. The system will remember your profile. Part 2 also ends Dec. 31. Thanks again for participating! Congratulations@Katahida--You have less than 15 miles to go! Keep trekking! Congratulations @Wanderer369 , @PSAcadiaHiker and @BSAcadiaHiker on the finish! You deserve a medal! Here's where you can buy the optional finisher's medal, if you haven't already ordered one: http://acadiaonmymind.com/a... Between now and the end of the year, under the Acadia Centennial Trek Challenge that we announced earlier this month, at least 10% of gross proceeds from sale of medal will go to help support Acadia, double the usual percentage. Medal assembled and largely made in the USA by the same company that makes Boston Marathon medals. And if you're up for Part II of the Trek, here's the direct link: http://racery.com/r/acadia-... Go to dropdown menu under "Runners," scroll down to the bottom and enter the same e-mail you used for the first race. The system will remember your profile. Part 2 also ends Dec. 31. Thanks again for participating! Congratulations @AlLargoFactotum on the finish! You deserve a medal! Here's where you can buy the optional finisher's medal, if you haven't already ordered one: http://acadiaonmymind.com/a... Between now and the end of the year, under the Acadia Centennial Trek Challenge that we announced earlier this month, at least 10% of gross proceeds from sale of medal will go to help support Acadia, double the usual percentage. Medal assembled and largely made in the USA by the same company that makes Boston Marathon medals. And if you're up for Part II of the Trek, here's the direct link: http://racery.com/r/acadia-... Go to dropdown menu under "Runners," scroll down to the bottom and enter the same e-mail you used for the first race. The system will remember your profile. Part 2 also ends Dec. 31. Thanks again for participating! Congratulations @WS on the finish! You deserve a medal! Here's where you can buy the optional finisher's medal, if you haven't already ordered one: http://acadiaonmymind.com/a... Between now and the end of the year, under the Acadia Centennial Trek Challenge that we announced earlier this month, at least 10% of gross proceeds from sale of medal will go to help support Acadia, double the usual percentage. Medal assembled and largely made in the USA by the same company that makes Boston Marathon medals. And if you're up for Part II of the Trek, here's the direct link: http://racery.com/r/acadia-... Go to dropdown menu under "Runners," scroll down to the bottom and enter the same e-mail you used for the first race. The system will remember your profile. Part 2 also ends Dec. 31. Thanks again for participating! Congratulations @Allegra on the finish! You deserve a medal! Here's where you can buy the optional finisher's medal, if you haven't already ordered one: http://acadiaonmymind.com/a... Between now and the end of the year, under the Acadia Centennial Trek Challenge that we announced earlier this month, at least 5% gross proceeds from sale of medal will go to help support Acadia, double the usual percentage. Medal assembled and largely made in the USA by the same company that makes Boston Marathon medals. And if you're up for Part II of the Trek, here's the direct link: http://racery.com/r/acadia-... Go to dropdown menu under "Runners," scroll down to the bottom and enter the same e-mail you used for the first race. The system will remember your profile. Part 2 also ends Dec. 31. Thanks again for participating! Pardon the typo @Allegra - at least 10 percent of gross proceeds from sale of medal between now and end of the year are being donated to help Acadia, under the Acadia Centennial Trek Challenge. Congratulations @ds on the finish! You deserve a medal! Here's where you can buy the optional finisher's medal, if you haven't already ordered one: http://acadiaonmymind.com/a... At least 5% gross proceeds from sale of medal go to help support Acadia. Medal assembled and largely made in the USA by the same company that makes Boston Marathon medals. And if you're up for Part II of the Trek, here's the direct link: http://racery.com/r/acadia-... Go to dropdown menu under "Runners," scroll down to the bottom and enter the same e-mail you used for the first race. The system will remember your profile. Thanks again for participating! Congratulations @Bonkanella on the finish! You deserve a medal! Here's where you can buy the optional finisher's medal, if you haven't already ordered one: http://acadiaonmymind.com/a... At least 5% gross proceeds from sale of medal go to help support Acadia. Medal assembled and largely made in the USA by the same company that makes Boston Marathon medals. And if you're up for Part II of the Trek, here's the direct link: http://racery.com/r/acadia-... Go to dropdown menu under "Runners," scroll down to the bottom and enter the same e-mail you used for the first race. The system will remember your profile. Thanks again for participating! Congratulations @DRF77 on the finish! You deserve a medal! Here's where you can buy the optional finisher's medal, if you haven't already ordered one: http://acadiaonmymind.com/a... At least 5% gross proceeds from sale of medal go to help support Acadia. Medal assembled and largely made in the USA by the same company that makes Boston Marathon medals. And if you're up for Part II of the Trek, here's the direct link: http://racery.com/r/acadia-... Go to dropdown menu under "Runners," scroll down to the bottom and enter the same e-mail you used for the first race. The system will remember your profile. Thanks again for participating! Congratulations @Oceanzil @Palmietti @Grimetti and @Nhcpa on the finish! You deserve a medal! Here's where you can buy the optional finisher's medal, if you haven't already ordered one: http://acadiaonmymind.com/a... At least 5% gross proceeds from sale of medal go to help support Acadia. Medal assembled and largely made in the USA by the same company that makes Boston Marathon medals. And if you're up for Part II of the Trek, here's the direct link: http://racery.com/r/acadia-... Go to dropdown menu under "Runners," scroll down to the bottom and enter the same e-mail you used for the first race. The system will remember your profile. Thanks again for participating! This is time to get cracking. Do one mile today! Race runs until end of the year. One step at a time! Congratulations @JB60 on the finish! You deserve a medal! Here's where you can buy the optional finisher's medal, if you haven't already ordered one: www.acadiaonmymind.com/acad... At least 5% gross proceeds from sale of medal go to help support Acadia. Medal assembled and largely made in the USA by the same company that makes Boston Marathon medals. And if you're up for Part II of the Trek, here's the direct link: racery.com/r/acadia-centenn... Go to dropdown menu under "Runners," scroll down to the bottom and enter the same e-mail you used for the first race. The system will remember your profile. Thanks again for participating! Congratulations @Fanie on the finish! You deserve a medal! Here's where you can buy the optional finisher's medal, if you haven't already ordered one: www.acadiaonmymind.com/acad... At least 5% gross proceeds from sale of medal go to help support Acadia. Medal assembled and largely made in the USA by the same company that makes Boston Marathon medals. And if you're up for Part II of the Trek, here's the direct link: racery.com/r/acadia-centenn... Go to dropdown menu under "Runners," scroll down to the bottom and enter the same e-mail you used for the first race. The system will remember your profile. Thanks again for participating! Congratulations on the first 100 @aBaltimoreHon ! And what an ambitious goal to finish the next 100 while in Acadia in two weeks! We don't sell the medals in Acadia, only through mail order. Here's where you can buy the optional finisher's medal, if you haven't already ordered one: www.acadiaonmymind.com/acad... At least 5% gross proceeds from sale of medal go to help support Acadia. Medal is assembled and mostly made in the USA by the same company that makes Boston Marathon medals. And if you're up for Part II of the Trek, here's the direct link: racery.com/r/acadia-centenn... Go to dropdown menu under "Runners," scroll down to the bottom and enter the same e-mail you used for the first race. The system will remember your profile. Thanks again for participating! Congratulations @Shortie @Love2Hike and @rai on the finish! You deserve a medal! Here's where you can buy the optional finisher's medal, if you haven't already ordered one: www.acadiaonmymind.com/acad... At least 5% gross proceeds from sale of medal go to help support Acadia. Medal is made in the USA by the same company that makes Boston Marathon medals. And if you're up for Part II of the Trek, here's the direct link: racery.com/r/acadia-centenn... Go to dropdown menu under "Runners," scroll down to the bottom and enter the same e-mail you used for the first race. The system will remember your profile. Thanks again for participating! I have my 100 miles, how do I finish the race? Official congrats to you @TLPDV ! Congratulations @boss and @AhMayzon on the finish! You deserve a medal! Here's where you can buy the optional finisher's medal, if you haven't already ordered one: www.acadiaonmymind.com/acad... At least 5% gross proceeds from sale of medal go to help support Acadia. Medal is made in the USA by the same company that makes Boston Marathon medals. And if you're up for Part II of the Trek, here's the direct link: racery.com/r/acadia-centenn... Go to dropdown menu under "Runners," scroll down to the bottom and enter the same e-mail you used for the first race. The system will remember your profile. Thanks again for participating! Congratulations @jc-unabridged on the finish! You deserve a medal! Here's where you can buy the optional finisher's medal: www.acadiaonmymind.com/acad... At least 5% gross proceeds from sale of medal go to help support Acadia. Medal is made in the USA by the same company that makes Boston Marathon medals. And if you're up for Part II of the Trek, here's the direct link: racery.com/r/acadia-centenn... Go to dropdown menu under "Runners," scroll down to the bottom and enter the same e-mail you used for the first race. The system will remember your profile. Thanks again for participating! Congratulations @Jennyhikes on the finish! You deserve a medal! Here's where you can buy the optional finisher's medal: www.acadiaonmymind.com/acad... At least 5% gross proceeds from sale of medal go to help support Acadia. Medal is made in the USA by the same company that makes Boston Marathon medals. And if you're up for Part II of the Trek, here's the direct link: racery.com/r/acadia-centenn... Go to dropdown menu under "Runners," scroll down to the bottom and enter the same e-mail you used for the first race. The system will remember your profile. Thanks again for participating! Congratulations @Anglz on the finish! You deserve a medal! Here's where you can buy the optional finisher's medal: www.acadiaonmymind.com/acad... At least 5% gross proceeds from sale of medal go to help support Acadia. Medal is made in the USA by the same company that makes Boston Marathon medals. And if you're up for Part II of the Trek, here's the direct link: racery.com/r/acadia-centenn... Go to dropdown menu under "Runners," scroll down to the bottom and enter the same e-mail you used for the first race. The system will remember your profile. Thanks again for participating! Congratulations @HikingWithPups on the finish! You and the pups deserve a medal! Here's where you can buy the optional finisher's medal: www.acadiaonmymind.com/acad... At least 5% gross proceeds from sale of medal go to help support Acadia. Medal is made in the USA by the same company that makes Boston Marathon medals. And if you're up for Part II of the Trek, here's the direct link: racery.com/r/acadia-centenn... Go to dropdown menu under "Runners," scroll down to the bottom and enter the same e-mail you used for the first race. The system will remember your profile. Thanks again for participating! Congratulations @gabbi on the finish! You deserve a medal - especially with the 20-miler over the week! Here's where you can buy the optional finisher's medal: www.acadiaonmymind.com/acad... At least 5% gross proceeds from sale of medal go to help support Acadia. Medal is made in the USA by the same company that makes Boston Marathon medals. And if you're up for Part II of the Trek, here's the direct link: racery.com/r/acadia-centenn... Go to dropdown menu under "Runners," scroll down to the bottom and enter the same e-mail you used for the first race. The system will remember your profile. Thanks again for participating! Congratulations @RngLulubell on the finish! You deserve a medal! Here's where you can buy the optional finisher's medal: www.acadiaonmymind.com/acad... At least 5% gross proceeds from sale of medal go to help support Acadia. Medal is made in the USA by the same company that makes Boston Marathon medals. 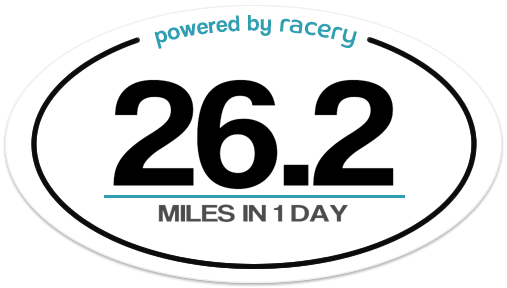 And if you're up for Part II of the Trek, here's the direct link: racery.com/r/acadia-centenn... Go to dropdown menu under "Runners," scroll down to the bottom and enter the same e-mail you used for the first race. The system will remember your profile. Thanks again for participating! How do I change the state I am from? I am from Maine and it has me posted as Florida. I see that there's a "racerbot" that helped @RngLulubell with same problem. Not sure how that bot was called, but you can also e-mail team@racery.com and get help that way. Hi @RngLulubell We have adjusted your state. Let us know if you need anything else! Congratulations @Bunny7 on the finish! Your medal well-deserved! At least 5% gross proceeds from sale of medal go to help support Acadia. Medal is made in the USA by the same company that makes Boston Marathon medals. And if you're up for Part II of the Trek, here's the direct link: racery.com/r/acadia-centenn... Go to dropdown menu under "Runners," scroll down to the bottom and enter the same e-mail you used for the first race. The system will remember your profile. Thanks again for participating! Congratulations @jp1 and @GoBearGoBear on the finish! Optional finisher's medal is available for purchase online if you haven't place your order yet, atacadiaonmymind.com/acadia... Thanks for participating! At least 5% gross proceeds from sale of medal go to help support Acadia. Medal is made in the USA by the same company that makes Boston Marathon medals. And if you're up for Part II of the Trek, here's the direct link: racery.com/r/acadia-centenn... Go to dropdown menu under "Runners," scroll down to the bottom and enter the same e-mail you used for the first race. The system will remember your profile. Thanks again for participating! Congratulations @ShaLouise207 on the finish! Optional finisher's medal is available for purchase online if you haven't place your order yet, atacadiaonmymind.com/acadia... Thanks for participating! At least 5% gross proceeds from sale of medal go to help support Acadia. Medal is made in the USA by the same company that makes Boston Marathon medals. And if you're up for Part II of the Trek, here's the direct link: racery.com/r/acadia-centenn... Go to dropdown menu under "Runners," scroll down to the bottom and enter the same e-mail you used for the first race. The system will remember your profile. Thanks again for participating! Congratulations @Candy12 on the finish! Optional finisher's medal is available for purchase online if you haven't place your order yet, atacadiaonmymind.com/acadia... Thanks for participating! At least 5% gross proceeds from sale of medal go to help support Acadia. Medal is made in the USA by the same company that makes Boston Marathon medals. And if you're up for Part II of the Trek, here's the direct link: racery.com/r/acadia-centenn... Go to dropdown menu under "Runners," scroll down to the bottom and enter the same e-mail you used for the first race. The system will remember your profile. Thanks again for participating! Congratulations @PH2 on the finish! Optional finisher's medal is available for purchase online if you haven't place your order yet, atacadiaonmymind.com/acadia... Thanks for participating! At least 5% gross proceeds from sale of medal go to help support Acadia. Medal is made in the USA by the same company that makes Boston Marathon medals. And if you're up for Part II of the Trek, here's the direct link: racery.com/r/acadia-centenn... Go to dropdown menu under "Runners," scroll down to the bottom and enter the same e-mail you used for the first race. The system will remember your profile. Thanks again for participating! Hey @Spokoney - did I ever give you the link for Part II? racery.com/r/acadia-centenn... Didn't see you on the map for Part II, so just want to make sure I'd sent it to you earlier. You can retroactively put in the miles on that map (might throw off the "My Trek" mileage, but system may be able to figure out they're duplicate miles based on date and same exact mileage). Ran into someone you know today, and when she mentioned you were almost done with Part II, and then didn't see you on the map for Part II, made me think I might not have sent you the link for Part II. All you need to do is go do the dropdown menu under "Runners" and enter the same e-mail you used for Part I. Thanks for participating! Congratulations @MichelleS and @BethanyAnn on the finish! Optional finisher's medal is available for purchase online if you haven't place your order yet, atacadiaonmymind.com/acadia... Thanks for participating! At least 5% gross proceeds from sale of medal go to help support Acadia. Medal is made in the USA by the same company that makes Boston Marathon medals. And if you're up for Part II of the Trek, here's the direct link: racery.com/r/acadia-centenn... Go to dropdown menu under "Runners," scroll down to the bottom and enter the same e-mail you used for the first race. The system will remember your profile. Thanks again for participating! Glad you're enjoying the Treks @linnane, and so glad to have finally met you in real life! To keep things interesting, aside from finishing the virtual trifecta of Parts I through III, am planning to do 100 real miles in Acadia in the year of the Centennial, and also to re-do all 24 peaks with trails up them this year. So far, have done Dorr, Beech, Norumbega, Day, Triad, Pemetic, Sargent, Gilmore and Parkman. Great fun at the 2nd ever Acadia Centennial Trek meet-up. 6:30 a.m. breakfast at Jordan's Restaurant, then low-tide walk to Bar Island with @TrailWitch @RangerMo @linnane and @HikingWithPups . Will be sharing memories on Facebook, and will paste a link in the message board later. Indeed it was great fun to meet my friend RangerMo and my new friends AOMM, TrailWitch, and HikingWithPups. Thank you AOMM for putting this together, the Centennial Treks and the meet-up. @AOMM Can you resend the part 3 link? It doesn't work, it just says page not found. Congratulations @RosaPup for the finish! Optional finisher's medal is available for purchase online, at acadiaonmymind.com/acadia-o... Thanks for participating! At least 5% gross proceeds from sale of medal go to help support Acadia. Medal is made in the USA by the same company that makes Boston Marathon medals. And if you're up for Part II of the Trek, here's the direct link:racery.com/r/acadia-centenn... Go to dropdown menu under "Runners," scroll down to the bottom and enter the same e-mail you used for the first race. The system will remember your profile. Thanks again for participating! Congratulations - @Dearjilly @AmyMoo @Hikingbeauty @WildernessGirls @Jennl @hp and @buckysmom - for the finish! (And pardon if I've congratulated some of you twice). Optional finisher's medal is available for purchase online, at acadiaonmymind.com/acadia-o... Thanks for participating! At least 5% gross proceeds from sale of medal go to help support Acadia. Medal is made in the USA by the same company that makes Boston Marathon medals. And if you're up for Part II of the Trek, here's the direct link:racery.com/r/acadia-centenn... Go to dropdown menu under "Runners," scroll down to the bottom and enter the same e-mail you used for the first race. The system will remember your profile. Thanks again for participating! trying to do all 100 miles in the park by climbing all 26 peaks has anyone else done this? Hey @boss this recent blog post might be of interest: http://acadiaonmymind.com/2... Will send along more info that may be of interest. Hey @hp - you technically haven't crossed the finish line yet although your mileage is a round 100. Could be a rounding issue, maybe another 0.1 to 0.3 mi to get you over the finish. Will reserve my congrats until then! Congratulations to @KittensKB for the finish! Optional finisher's medal is available for purchase online, at acadiaonmymind.com/acadia-o... Thanks for participating! At least 5% gross proceeds from sale of medal go to help support Acadia. Medal is made in the USA by the same company that makes Boston Marathon medals. And if you're up for Part II of the Trek, here's the direct link:racery.com/r/acadia-centenn... Go to dropdown menu under "Runners," scroll down to the bottom and enter the same e-mail you used for the first race. The system will remember your profile. Thanks again for participating! Sorry about typo on my part! Here's the correct link for Part II: racery.com/r/acadia-centenn... Congrats again, and see you on the virtual trails of Acadia! Celebrate 100 years of conservation and community by keeping Acadia National Park on your mind while you run, hike or step-count during this Centennial year, no matter where you are in the world! The virtual 100-mile Acadia Centennial Trek starts on the top of Cadillac, taking you over all 26 peaks in the park and along the Park Loop Road and carriage roads. The trek goes over some of the Mount Desert Island YMCA's Acadia Half Marathon and Fall Half Marathon routes, and ends at the finish line for the Mount Desert Island Marathon and Half Marathon. The free race begins once 50 participants have signed up, and runs through the end of 2016. Finishers have the option of purchasing a finisher's medal with an official Acadia Centennial logo, to help raise funds for the park.